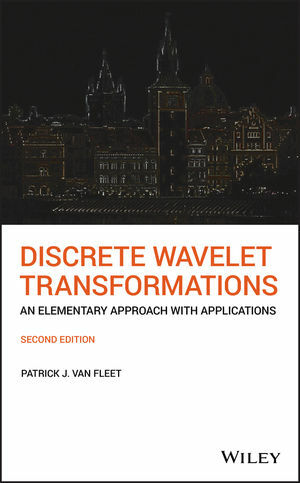 The new edition of Discrete Wavelet Transformations continues to guide readers through the abstract concepts of wavelet theory by using Dr. Van Fleet’s highly practical, application-based approach, which reflects how mathematicians construct solutions to challenges outside the classroom. By introducing the Haar, orthogonal, and biorthogonal filters without the use of Fourier series, Van Fleet allows his audience to connect concepts directly to real-world applications at an earlier point than other publications in the field. Leveraging extensive graphical displays, this self-contained volume integrates concepts from calculus and linear algebra into the constructions of wavelet transformations and their applications, including data compression, edge detection in images and denoising of signals. Conceptual understanding is reinforced with over 500 detailed exercises and 24 computer labs. Comprehensive and grounded, this book and its online components provide an excellent foundation for developing undergraduate courses as well as a valuable resource for mathematicians, signal process engineers, and other professionals seeking to understand the practical applications of discrete wavelet transformations in solving real-world challenges. PATRICK J. VAN FLEET is Professor and Chair of the Department of Mathematics at the University of St. Thomas in St. Paul, Minnesota. He has authored several journal articles on (multi)wavelets and conducted sponsored workshops for developing and teaching an applications-first course on wavelets. He received his PhD in Mathematics from Southern Illinois University-Carbondale in 1991.